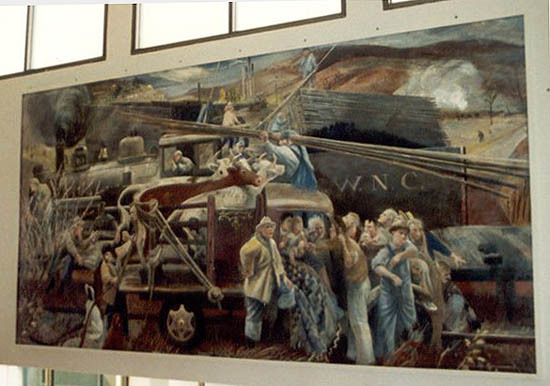 The Johnson City mural is now located over the entrance to the auditorium on the campus of East TN State University in Johnson City. It is entitled "Farmer Family". It was installed in the old Post Office on September 9, 1940. Wendell Jones from Woodstock NY was the artist.